Rose Lerner joins us today. Rose discovered romance novels at age thirteen and wrote her first historical romance a few years later. She's still fascinated with England's Regency and still writing historical romances. Some of them have hit our "best of" lists the past few years. 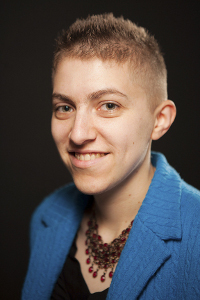 She says that when she's not reading, writing, or researching, she enjoys cooking and binge watching old television shows. 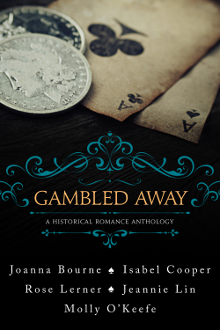 Rose's newest published story is part of an anthology titled Gambled Away. More about that at the bottom of this post but first, welcome back, Rose! Hi! I’m really, really happy to be back at the Dish. Y’all are the best, which is good because I want to talk about something kind of weird and personal today. BEATRICE: Where do you want to eat? BEATRICE: I just had Arby’s yesterday. ROSE: How about that place with the really good tomato soup? ROSE: Where do you want to eat? BEATRICE: Oh, no, I want to go somewhere you want to go! BEATRICE: Ooh, yes, pizza sounds great! Essentially, I don’t think she meant to do it, but she would ask me what I wanted and then push me into trying to guess what she wanted. So not only were we not going where I wanted, but also the decision was my responsibility! And if I chose the restaurant and she didn’t like her dinner (she often didn’t like her dinner), I felt awful. And the thing is, I didn’t mind going where she wanted! But over time I grew to resent having to play this little game, so I started saying, “Oh, wherever’s fine.” And I would stick to it, stubbornly laid-back, refusing with all my heart to have an opinion. It was surrender, but it was resistance, too. By some bizarre emotional alchemy, after a year of saying it...I actually stopped knowing what I wanted to eat. When I was alone, I had no problem. But put me in a group, and desire deserted me. I would run through restaurants and favorite dishes in my head and feel nothing about any of them. How can you just not know what you want to eat? Isn’t food the most basic appetite of all? But I wonder how unusual it actually is. I know my BFF had a similar problem: when we first started hanging out, we had to make an ironclad rule that we would take turns choosing the restaurant, and we had to enforce it ruthlessly. No cheating! It sounds so petty, but it was brutal. Sometimes we would sit in silence for five minutes while one of us racked her brain for something that sounded like maybe she might want to eat it. I remember once I came up with somewhere that had mac-and-cheese I liked, and we went there, and the place was closed. I sat in the car with her in the dark in an agony of embarrassment and indecision, so hungry and apologizing over and over for my brain being completely, helplessly, stubbornly blank. I can still remember the street, and my steering wheel, and trying to laugh. Obviously, there were other issues in my life, and in my relationship with Beatrice, than just food. But it still amazes me to think I went, in one year, from having no problem at all with this particular task, to this ludicrous gap in my own brain. When I was writing Simon, the hero of my new novella “All or Nothing” (who’s still trying to get over his intense college relationship with a guy who has some things in common with my friend Beatrice), I thought about that a lot — the ways in which we can lose touch with our own desires when we don’t feel like we have freedom of choice. The ways we let ourselves grow into the empty spaces around other people’s questions instead of asking our own. And most importantly, the ways people in a good relationship can give each other space to grow in any direction they feel like. When you don’t trust yourself, following your heart can feel like the biggest gamble there is. Are you still friends with your best friend from high school? What's a bad habit you had to unlearn from an old relationship? Rose is giving away two e-book copies of Gambled Away. Hi, Rose! I'm on the road today so I'll be in and out. Thanks for visiting with us today and thanks for a great facebook party last night! I'm still friends with some high school friends but not my bestie. She moved away and we lost touch not long after graduation. I had to learn to say no. I dated a lot when I was younger. I never wanted to hurt anyone's feeling so I always said yes when someone asked me out. That tendency carried over into the early years of my marriage. It was a process but I finally learned to stand my ground and voice my opinions. So many favorite authors in Gambled Away! My copy is on my Kindle, and I've promised myself time to read it when I catch up on reviews. I'm still friends with my best friend from kindergarten, who is also my best friend from high school and from college and from grad school and . . .
My favorite restaurant for extraordinary ordinary food is probably Mary Mac's in Atlanta. Love those fried green tomatoes! The first boy who broke my heart many decades ago taught me that I am worth more than empty charm and lies. It's a lesson I've never forgotten. That's so cool that you guys are still friends! I can't imagine sharing so much of my life with someone. Do you still live near each other? I do have one friend left from elementary school and I love her dearly but we hardly ever see each other anymore. I love that you still have close ties with your childhood friends, Janga. I grew up in a small town where people tended to live from birth to death but for some reason much of my graduating class scattered to the four winds and many of us lost touch. Congratulations on your new anthology. It could also be an example of a power play (a way to always have control), not just a friend wanting to get her own way. Luckily, my sister is my best friend and we get along. Thanks! And heh, I guess I have to think more about the difference between those things. Food for thought! I love your post Rose! I had a friend kind of like that in high school and I learned through her that I needed to establish some much needed boundaries in my life! It was a process, but like PJ, I had to learn to say no - a very useful and scary word for "people pleasers" the world over! I did not really learn to set boundaries until I started therapy, and oh it was a grueling process! (Which is still going on, really.) I think it's too bad kids aren't educated more about that. When I think of the peer pressure workshops I did in school (which is the closest I can think of), they were so divorced from the reality of actual human interaction. And wow, I could use a chocolate dessert right now! My best friend from high school is still in my life. We lost touch for 20 yrs but now we are back together. I have Facebook to thank for that. My favorite restaurant is The Side Porch. They have croutons there that you could make a meal out of. I don't remember a bad habit that I had to unlearn. That's awesome! I actually just got back in touch with my writing mentor from middle school via Facebook. It's kind of an amazing thing! I've reconnected with some friends through Facebook. It's been a lot of fun to catch up! I think good croutons are one of the things I miss most since having to go gluten-free. I'm long distance friends with my high school (and college) best friends. Whence we do get together it's almost like no time has passed. But we rarely see each other. As far as restaurants go, I really don't have one favorite. I have a favorite for some types of food - like Torchy's Tacos for semi fast food tacos and queso. Bad habits that I had to break? Other than a bit too much party time during college, I can't think of any specific ones. I am still friends with my best friend from HS, who is just such a solid person, so fabulous. I'm so lucky to have had her in my life all these years. But goodness have I learned so much about the importance of emotional boundaries and not feeling like I have to be responsible for other people's feelings over time! If I could get my 20-year old self to learn that faster, I'd time-travel in an instant. I apologize if this shows up twice, I don't see the comment I left you! I was saying that when I look back at myself in high school I did have other friends and I think "Why didn't I spend more time with them? "...but the truth is, me and Beatrice were probably kind of a match as far as neediness and lack of boundaries went. When I called her she always said "Come on over!" and I felt like I needed that at the time. There are times when I look back and wish I'd done something differently or been a stronger person but then I remember that all those experiences - good and bad - made me who I am today and that's someone I wouldn't change. No, I'm not haven't seen her in years. I'm partial to Ruby Tuesday. To trust again. I don't really have any friends from high school, but I do have some great friends from college. We reconnected several years after graduation when we found out that we were both expecting our first child within a month of each other. Our boys grew up together. On the other hand I had another friend whom I had to sever ties with because she was very critical and toxic. She always had to pick the place we'd meet for lunch, then she even started disapproving my choice of the meals that I ordered! Can you imagine that? We are still Facebook friends, but we haven't had a meal together in over 21/2 years. I really don't miss it either! Oh wow! Yeah, sounds like you didn't need her in your life. That is CARTOONISH. I'm not close to my bestie from high school and I'm okay with that. I've got two fantastic friends that I met through work, one for about 35 years and the other for nearly 20 years. Unfortunately, we moved to be near our kids and grandkids and I don't get to see either of my friends very often, but when we talk or text, we're still joined at the hip. My two very favorite places to eat are in El Paso: the best Mexican food is at Kiki's, the epitome of a dive bar, but seriously, just take my word for it. The other is a steakhouse about 30 miles east of EP called Cattleman's Steakhouse at Indian Cliffs Ranch in Fabens. Now I need to go back to visit! Thanks Nikki! I hope you like the book.